Tuition varies considerably depending on program and student's denominational affiliation, e.g. MDiv ($282/cr (Baptists); $649/hr (non-Baptists). Click here for full tuition schedule. Chartered by Baylor University in 1991, Truett Seminary was founded to provide a moderate yet thoroughly orthodox theological education steeped in the Baptist tradition. Originally housed in First Baptist Church in Waco, TX, the school's founding can in some ways be seen as a response to what some see as a fundamentalist takeover of the Southern Baptist Convention in the late 1980s - 1990s. 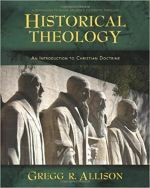 Truett offers the MDiv in a variety of concentrations (Biblical Studies and Theology; Christian Education; Ministry Leadership; Missions and World Christianity; Spiritual Formation; Sports Ministry; Worship Leadership; Youth, Family and Student Ministry) as well as dual degree programs (MDiv/MSW; MDiv/MM; MDiv/MBA). The DMin is also offered. Furthermore, students may take courses from the many departments at Baylor such as Anthropology, English, History, Philosophy, Psychology, Religion, Sociology, and more. As of January 2014, students in Austin, TX may take a number of classes at the Truett Seminary extension campus. Truett students meet together weekly for worship as well as for their assigned Covenant Groups, small groups of students who meet for prayer and encouragment. As students of a relatively large university such as Baylor, Truett Seminary students have access to the same wide range of facilities and activities that all Baylor students enjoy. All Truett students have access to Baylor facilities such as the Student Life Center, which offers state-of-the-art workout facilities, including an indoor track and raquetball courts, as well as free medical services. Baylor offers limited housing to graduate students, including Truett Seminary students. 1 and 2 bedroom apartments are available to students on a first-come, first-served basis. As an alumnus of Baylor University myself (PhD, 2007) I can personally attest that there is a wide variety of student housing close to campus. While not all housing is necessarily graduate-student friendly, there are a number of affordable housing options available to seminary students. 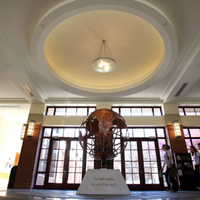 Baylor offers Truett students generous financial aid in several forms. Baptist students are eligible for Baylor's church matching gift programs. The scholarships include the Texas Baptist Leadership Scholarship, Dean's Scholarship (for Baylor undergraduates), and the University Ministerial Scholarship. These scholarships are reserved for Baptist students, though other students are eligible for Federal Aid.